The invisible hearing aid is suitable for mild to moderate hearing loss and for those who don't want others to know about their hearing loss. 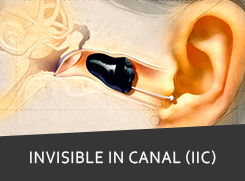 IIC is a "deep canal" aid, meaning it rests comfortably in the second band of your ear canal. It is digital and programmable, this results in a completely invisible hearing and filter out unwanted background noise and improve listening in noisy environments and provide a comfortable, made-for-your fit. 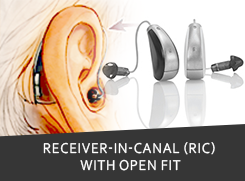 The receiver-in-canal (RIC) model is a newer development in hearing aids and they're best for mild to moderate high-frequency losses where low-frequency hearing is still normal or near normal. 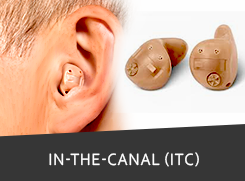 Compared to a classic behind-the-ear (BTE) hearing aid, the receiver of the RIC (the loudspeaker) is placed in the ear-tip instead of in the housing, thereby reducing its size which makes it virtually invisible. Since, these aids leave the ear canal open some people like this type because their own voice does not sound as strange to them as with a BTE. 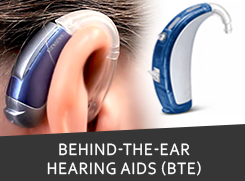 The classic behind-the-ear model (BTE) is the choice if you have a severe to profound hearing loss or if you have very small ear canals, which makes it difficult to fit an entire hearing aid into your ear. All the electronic components of a classic BTE model are located in a housing placed behind your ear. Also, the BTE aids are bit visible but easy to be cleaned and handled, and are relatively sturdy. 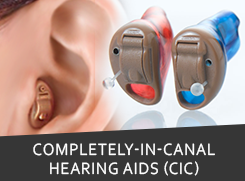 The CIC is the smallest model in hearing aids and is especially suitable if you have a mild to moderate hearing loss. It is a custom made shell that contains all the electronic components. The shell is placed deeply in the ear canal, making the hearing aid almost invisible. A CIC therefore has a big aesthetic advantage: No one can actually see that you are wearing a hearing aid. 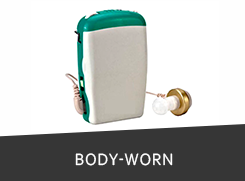 Body-worn hearing aids consist of an earpiece connected by a lead to a small box that can be attached to clothes or placed in the pocket. Some people find the controls easier to handle and they can be very powerful. 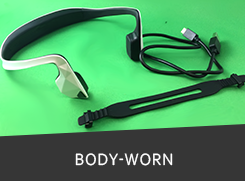 For people with a conductive hearing loss and those who cannot wear conventional air conduction hearing aids. For people with hearing in only one ear, the CROS aid picks up sound from the side with no hearing and feeds the sound to the ear with normal hearing. 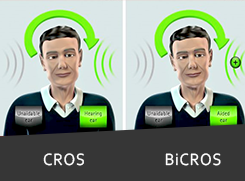 BiCROS aids work in the same way but amplify the sound for people with no hearing in one ear and some hearing loss in the other ear as well.